Managing finances while paying a monthly mortgage for your house is easy – no need to break the bank or sacrifice for your dream home. 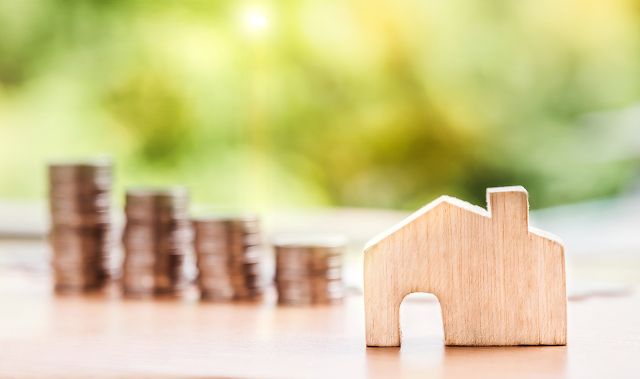 Managing money can be an intimidating thing, but this can be especially true when you are paying a monthly mortgage for your house. If you are finding that you are stretching your finances while you are paying for your mortgage, fret not. It is doable, which means you can get rid of the fear that you will slip into debt while paying for your dream home. It sounds simple enough, but tracking your cash flow is one of the most overlooked ideas by many people. You have to know where your money comes from and goes to – in other words, budget! Start with the incoming flow of money. Whether you’re a salaried employee, a freelancer, a businessperson, or some hybrid of those, you need to know where your money comes from and how much you make. For people with predictable paychecks, you already have an idea of your usual take-home pay; for those with varied paychecks, figure the average monthly income you earn. Then, track where the money goes. You can use apps and software for this, or go into an Excel spreadsheet (there are many free templates online that automatically compute things based on what you type in). You can, of course, go old school and use a balance notebook if that’s more your style. Classify your purchases to make things easier to manage. Fixed living expenses include not just your monthly home mortgage, but also car payments, insurance premiums, and any other expenses that are the same every month like phone, internet, and cable bills. Necessary costs are the opposite as they fluctuate month-to-month such as utilities (electricity and water bills), gas, and groceries. Lastly, also note other expenses, especially non-necessary ones like dining out, entertainment (going to the movies, watching concerts, etc.) and so on. Once you have figured out your cash flow and where your money is supposed to go, create a budget and pay what you need to on time. If you find that you don’t have enough to pay bills, take a step back and evaluate which costs are important, especially in keeping your job and staying healthy. There are many ways to set up a budget such as the envelope system (dividing and allocating money to envelopes, using that money only for that purpose), and the 50-30-20 budget (50% of take-home pay is spent on needs, 30% spent on wants, and 20% spent on savings and paying off any debt). Budgeting apps are abundant, so tips for budgeting and calculating things is in the palm of your hand. If you do have just enough to cover your bills, take steps like making automatic payments to your electricity and mobile phone bills, or turning on email or text message alerts from certain providers. Some banks let you enroll automatic payments for certain services like Meralco and Sky Cable. Some streaming sites like Netflix and Spotify allow automatically debiting from a Paypal account or your credit/debit card. You could even set up alerts on your mobile phone or use post-its and notes on your refrigerator – whichever system works for you. Remember that paying bills on time also means avoiding late fees and penalties, and in some cases allow you discounts, perks, or sometimes even a free month of something for being such a loyal and punctual customer. Lastly, make sure there is enough for an emergency fund – never touch that money unless it really is an emergency such as a medical situation or a debt you are being cornered into paying. In relation to budgeting, find a way to grow your disposable income. As you play around and experiment what budget style works for you, you slowly become aware of your spending habits and your financial situation. This allows you a chance to grow your disposable income. For example, identify which things are more of a burden than an asset. If you find yourself no longer using that video streaming service or neglecting to go to that high-end gym, cut these costs! You’ll be surprised how much you can save and allocate for house mortgage or other expenses. As you start managing your finances better, you’ll find that your paycheck becomes money well spent – eventually, paying for your monthly home mortgage becomes a cakewalk and you’ll have more time and money that can be saved or used elsewhere. One might want to make a little extra cash to fund your savings, or that eventual big spend this coming summer season. This could be easy if you are eager to find earning opportunities as well as be able to use your resourcefulness to put up that side business. In the hyper-connected age we live in today, there’s can be little excuse to put up that side business you want. 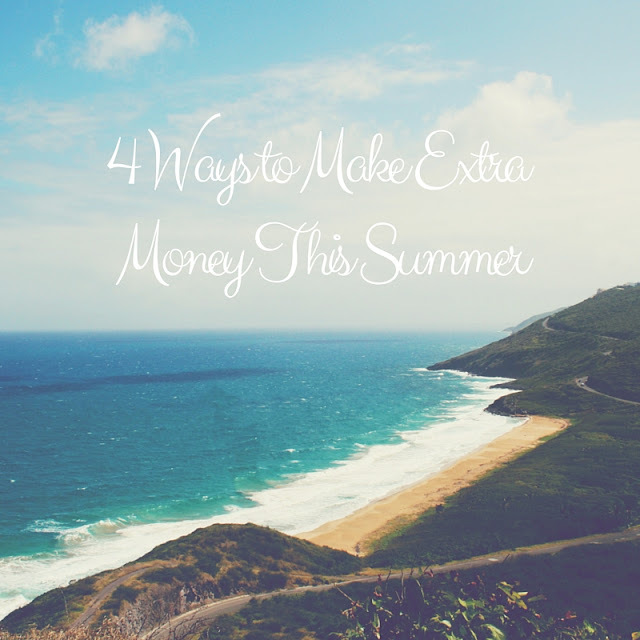 There are always more than one way to make a little extra cash, and here are four ways to make extra money to get you started. Remember those stock photographs you saw online, or the wallpapers your gadget came with? Many of those were actually taken by people and sold online, as opposed to edited or taken specifically for turning it into a stock photo. Note that stock photography websites like Fotolia, Envato Market, and Shutterstock will need hi-res submissions, so make sure that you get the best resolution when you shoot photos. There are sites that allow you to upload your old subject notes for other students to download at a price. Websites like Notesale ask that you upload these notes as PDFs for anyone to download. You can set a price for these notes as well, but nothing outrageous, as your clients are students, after all. Since you spend a lot of time online in any case, why not make extra cash? If you’re window shopping, doing research, or just browsing through at random, you could make a little extra cash from sites like Qmee. You’ll have to install an add on, and click the links that have cash rewards in order to earn money, which is sent to your Qmee piggy bank, which can be transferred to you via PayPal, or donated to a charity of your choice. There’s also a mobile app for your on-the-go needs. · Books in better condition fetch a higher price. · Editions closer to the current will also fetch a higher price. · Sell directly to the buyers inside bookstores for better prices. Recto is a bookworm’s paradise; you never know what you’ll find perusing the stores. Your best bet is to sell to the bookstores inside buildings, if you want the best price for your books. There are also a lot of other alternative ways to make a little extra cash online, like writing reviews, or full papers for interested buyers. When it comes to making extra cash on the side, one just has to do a little research and a little legwork. Most of these are also part-time, so feel free to invest as little or as much time as you like to earn that extra cash. Kyle Kam is a Digital Marketing Specialist of MoneyMax.ph, a financial comparison website aiming to help Filipinos save money through diligent comparisons of financial products. Have you been experiencing difficulty these days? Or wanting to give up? Wag kang panghinaan ng loob! Basahin mo muna eto. 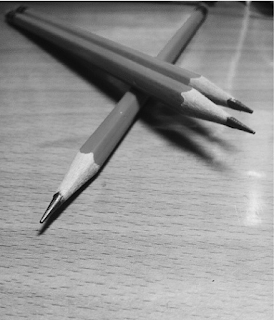 Sana ma-inspire ka sa kahit anong paraan..
"A painful sharpening. You need it to become the best pencil you can be." I met Tita Helen (not her real name) during my presentation to her daughter which happens to be my friend. I was amazed on how passionate she is and encouraged her daughter to sign up for a plan right away. You see, things like investing is important to discuss among family members. 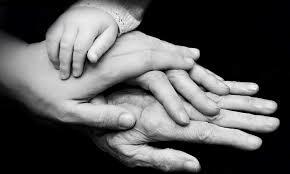 Parents inspire their children or vice versa to take charge of their future. Do you agree? So make saving for the future a family affair. When I began to ask about her experience and where the passion is coming from, she decided to share it with us. It was in the late 1990s, when my husband and I got our very first life insurance policies. Life is good back then because of our business so we wanted to secure our family’s future especially for our children. We were able to send our four daughters to good schools and I must say, our family is well provided for at that time. But there was something unexpected happened to our family business and after a decade, we decided to stop its operation. We were so devastated at that time. Monthly bills and children’s tuition fees continue to increase yet our bank savings accounts were dropped to almost zero. And we got no choice but to discontinue paying for our policies. I deeply regret that decision because I am a firm believer of life insurance because of the benefits our family had received over the years. My husband began to look for a job and we decided that I will take care of our children instead. Thus, I became a housewife. Two years later, I received an envelope from Sun Life (yes, we got our policies from them) thinking that since we were not able to pay anymore, it might be a demand letter or something obliging us to pay for the policies. So, I decided to keep the envelope and not to read it. But I trusted my instinct to look for the envelope which I almost forgot where I put it. Luckily, I found it and was surprised to see the check that had an amount more than we actually paid for. I read the letter, this was because of demutualization. Who would have thought there exists a company like Sun Life? It was when the time you had nothing or just simply started out again to cope up from business’ loss, and then you received something you never thought possible. From then on, I always share this to my family and friends. And also, to our children. In getting life insurance plans, it is important to choose the right and best partner company that will fulfill its mission from generations to generations. Also, to start investing as early as they can so they will reap the rewards early too. Do you know someone who has experienced the same? When you're looking to apply for car insurance, what coverage are you looking for? Do you even know what other car insurance coverage there is besides the Compulsory Third Party Liability (CTPL)? Do you know what CTPL entails? There's a lot to know before you buy a car and insure it! Knowing which coverage does what can help you make sure that your car is well-protected. A comprehensive car insurance policy may be too costly for some, so all the more reason to know about different types of coverage and what it does for you. Be sure to read the following before you decide to buy car insurance! Probably the most basic car insurance coverage you will ever need, liability coverage helps cover expenses from damaging a vehicle or injuring a person in a car accident. Third party liability therefore is insurance against injuries, damages, and/or death of any person other than a passenger. Third party liability, however, doesn’t cover loss or damage to property. Just what it says on the tin, this is coverage or insurance that protects you if you get in an accident caused by an uninsured motorist. That means, it pays your cars damages when the motorist responsible for the accident doesn’t have liability insurance. This coverage can cover you when you’re not inside your vehicle and an uninsured motorist hits you. Unlike uninsured motorist protection this one helps pay your car's damages when the vehicular accident is caused by someone who has inadequate insurance. It protects you in two ways: property damage and bodily injury. These can also help pay for you and your passenger's lost wages and medical expenses due to the accident. To help explain further, if the damages caused by the underinsured motorist totals PHP150,000. The underinsured motorist can only cover PHP 50,000, so you will have to cover the remaining PHP100,000. Having underinsured motorist protection can help you pay the remaining expenses. Comprehensive means complete, or including all or nearly all elements of insurance. When you have comprehensive insurance, you’re also covered on vandalism, weather damage, flood, and even theft. Of course, the features of comprehensive car insurance varies depending on the insurance provider you select, so be sure to compare the different comprehensive insurance plans offered by all insurance providers available to you! This coverage helps pay for damages to your vehicle in the event of a vehicular accident. What sets it apart from liability insurance is that collision coverage includes expenses when you’re the one at fault in the accident. It helps you pay for repairs and other out-of-pocket expenses. Just be sure to ask your provider how much the deductible is so you won't be paying too much! Medical coverage in a car insurance helps cover your medical costs related to an accident, regardless of who is at fault. This also covers medical expenses for your passengers, as well as any third party. It even complements your personal health insurance since it can help bridge the gap that your health insurance doesn't cover, such as nursing care and other chiropractic services related to injuries caused by the accident. This coverage is more in-depth. Personal Injury protection covers lost wages due to the auto accident, rehabilitation services, and even funeral costs and services. Unlike medical coverage, however, Personal Injury Protection has deductibles, so be sure to clear that up with your insurance provider! Got all that? Then you’re ready to get your brand new car the car insurance it deserves! Do you need Financial Planning consultation? This is absolutely free of charge and no obligation.